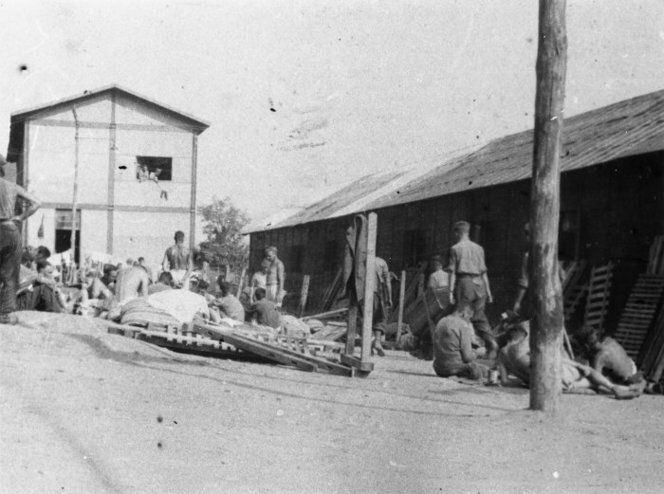 Above: Camp 52, for prisoners of war, Chiavari, Italy, 1942. Photograph taken by W A Weakley. Note on back of file print reads "...All beds and gear out for a search. Note where bed slats have been taken off to provide fuel for brewing tea."